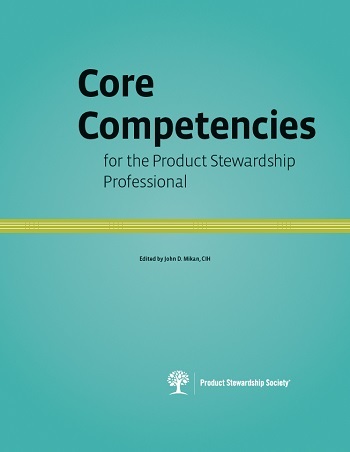 In an effort to better define product stewardship, the Product Stewardship Society has developed the Core Competencies for the Product Stewardship Professional. The core competencies document serves as a foundation on which to build global knowledge of the profession, assist potential employers and employees in identifying opportunities to advance the profession, and defines the role of product stewardship in advancing environmental, health and safety protections and facilitating commercial supply chains. The document divides the core competencies into three domains: technical, regulatory, and professional.